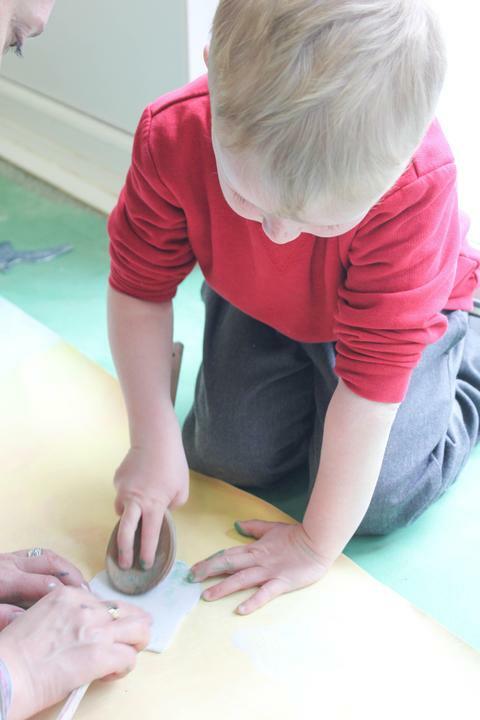 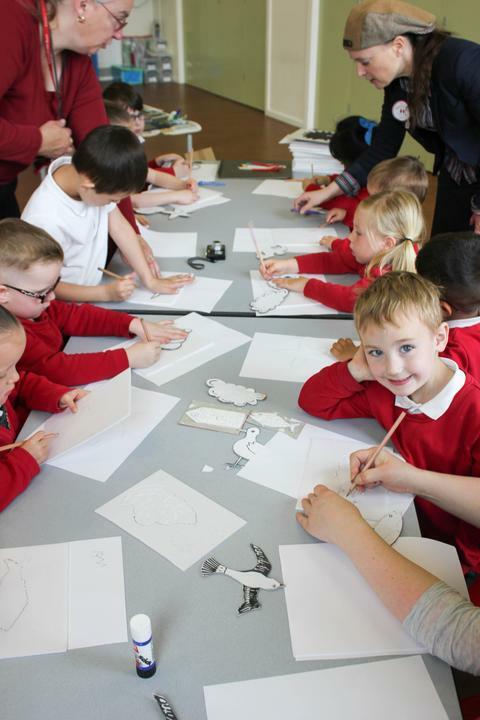 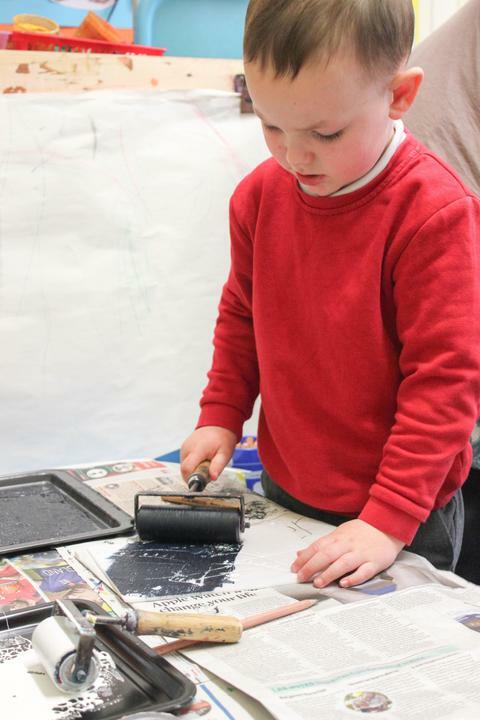 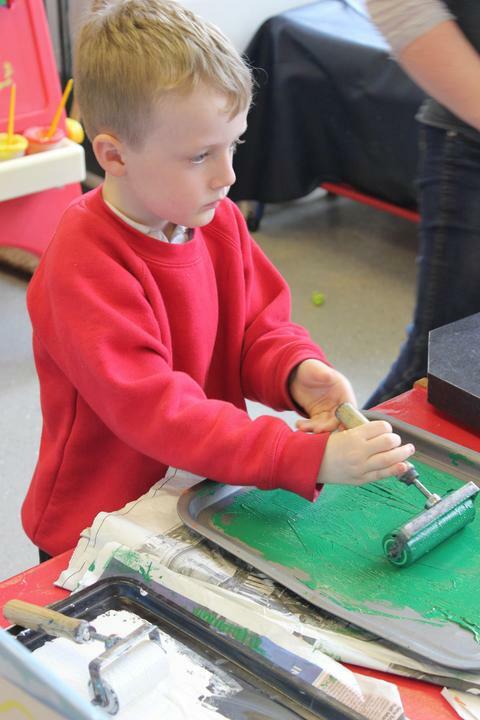 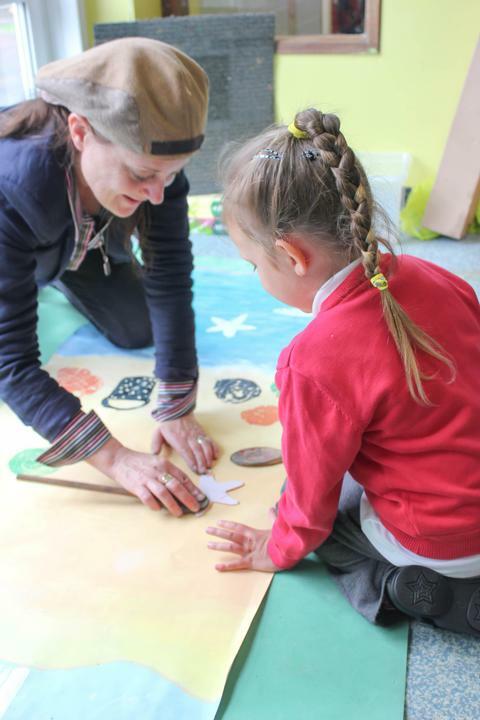 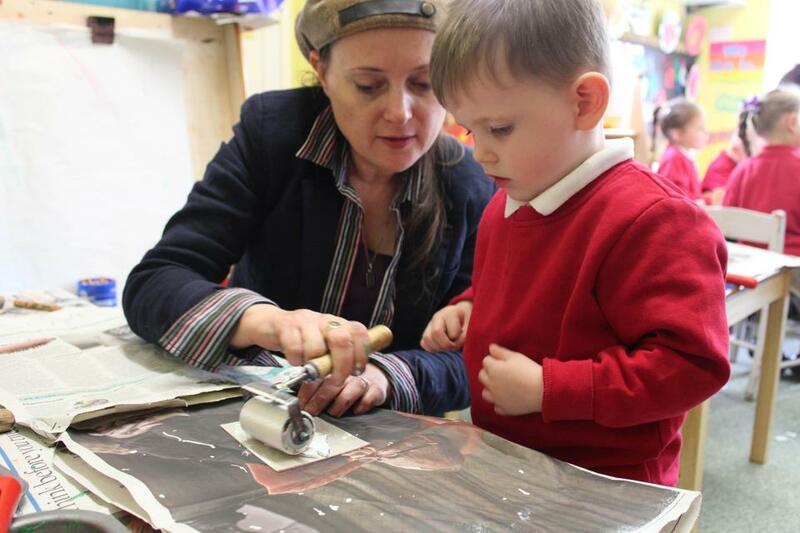 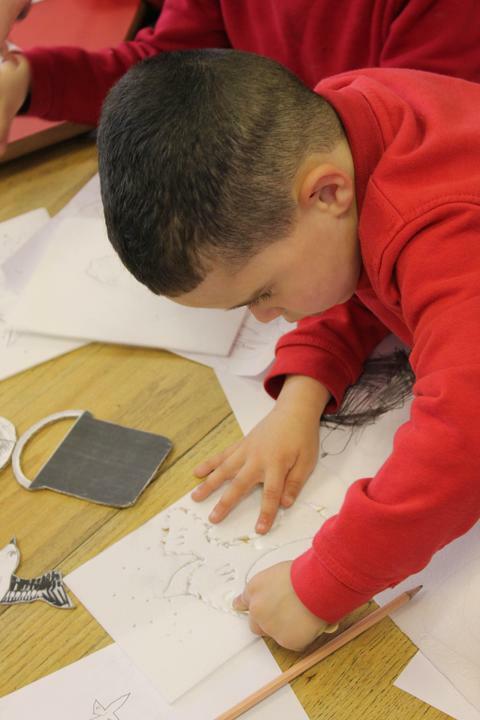 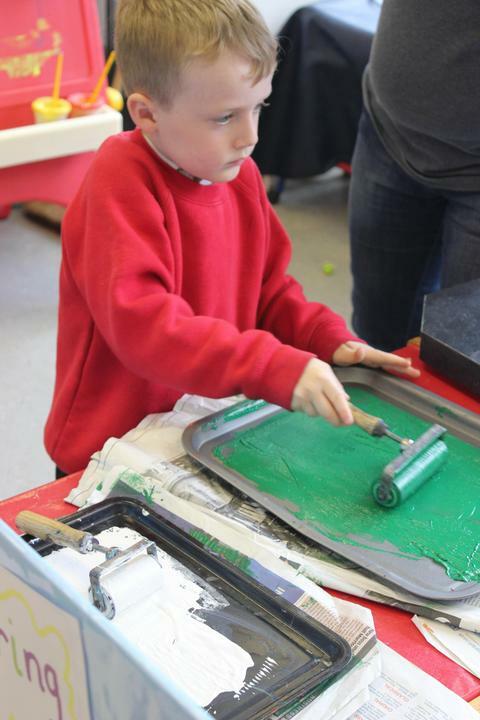 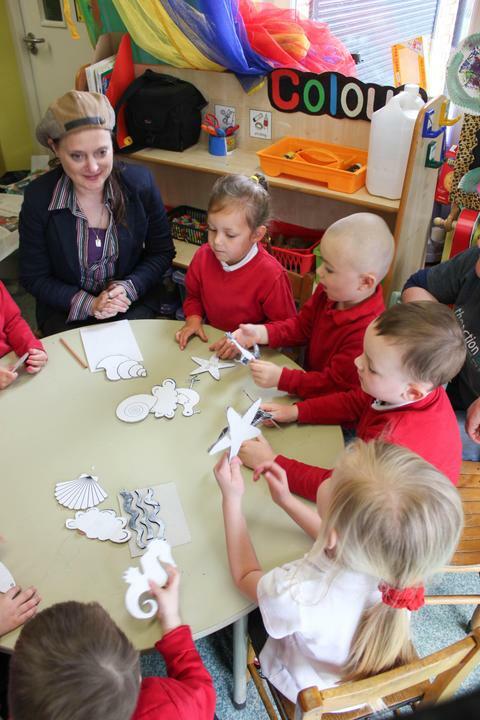 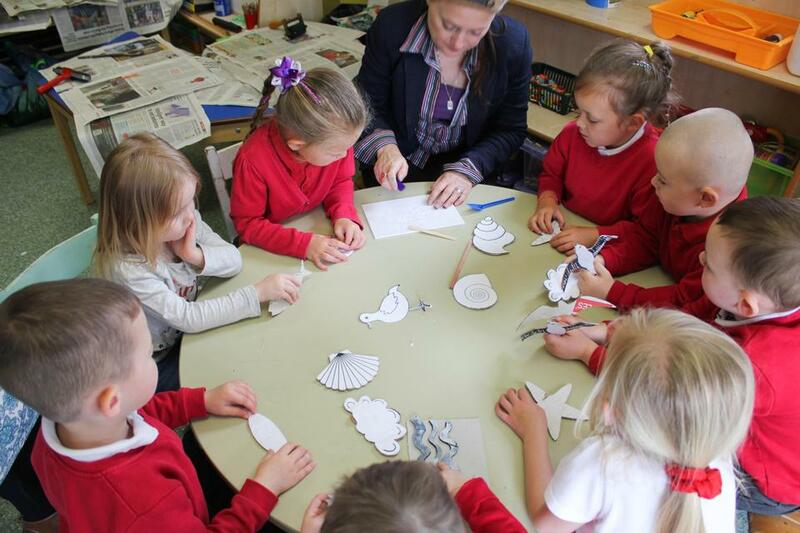 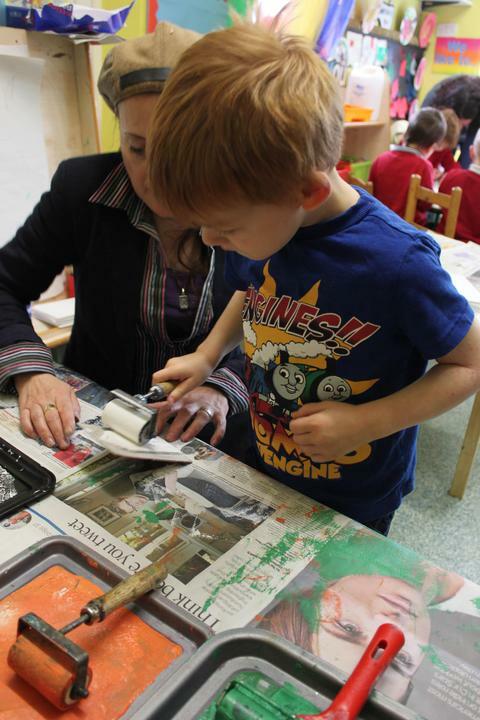 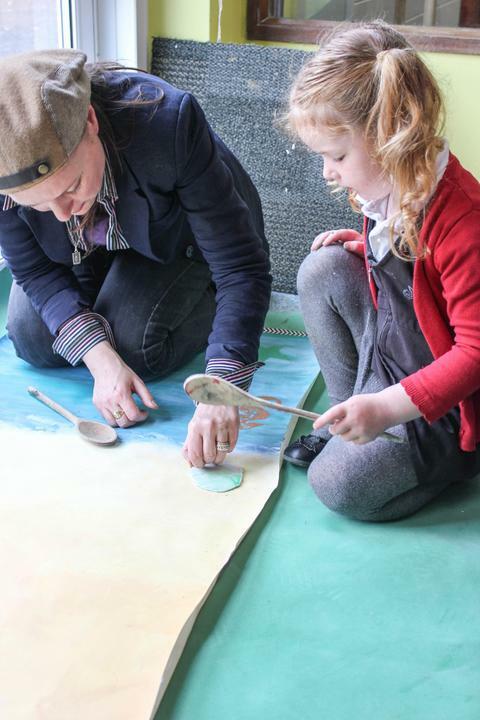 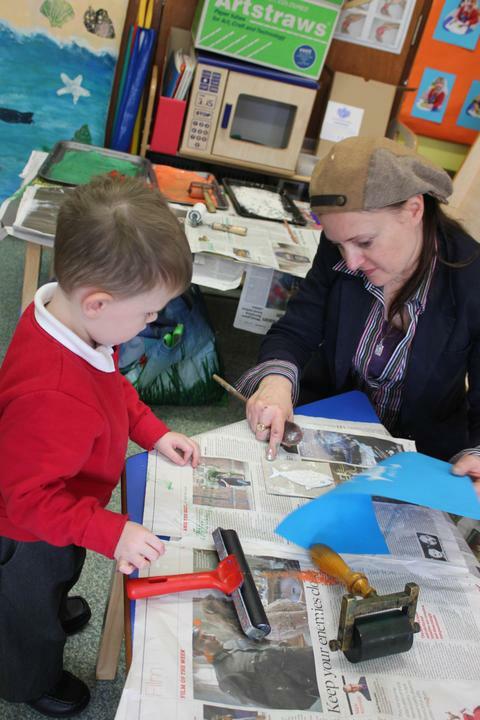 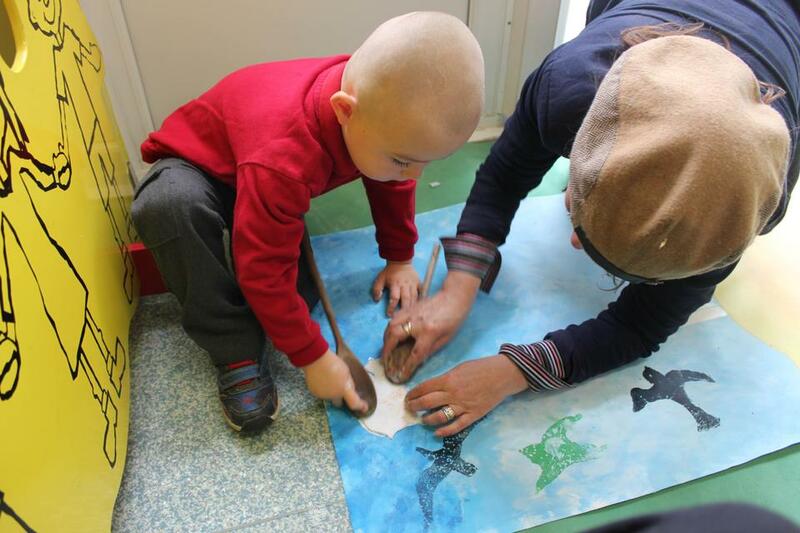 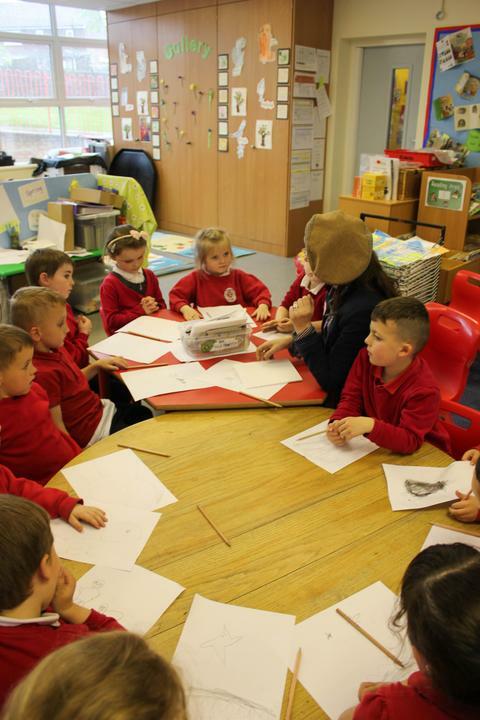 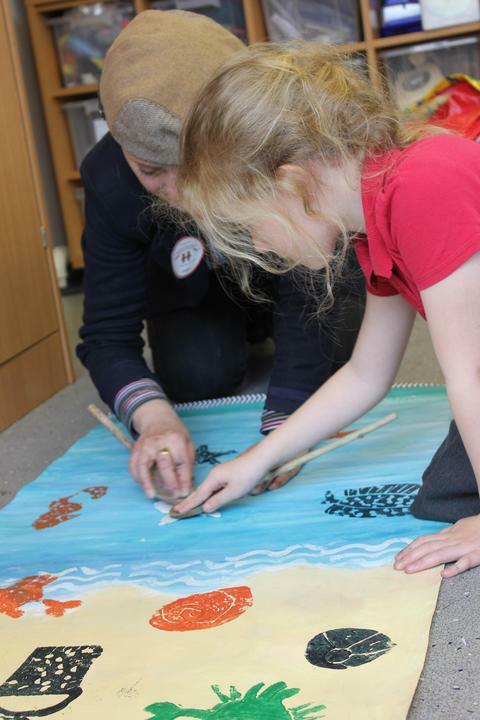 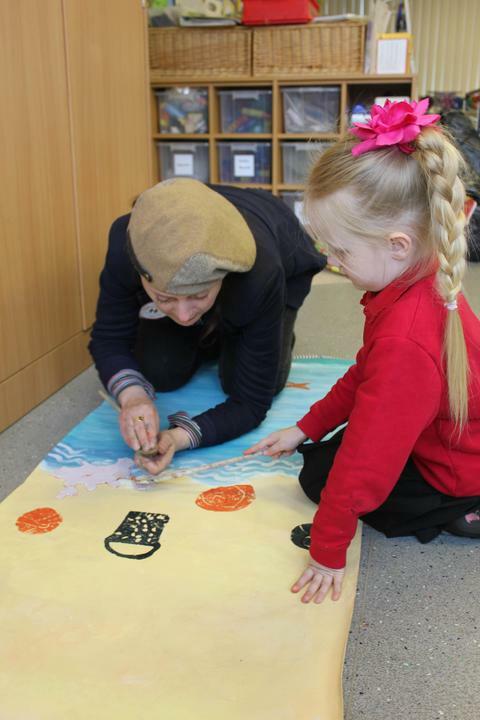 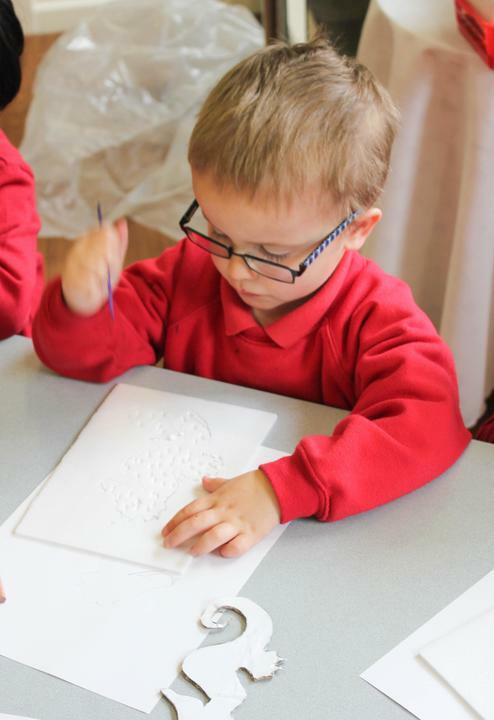 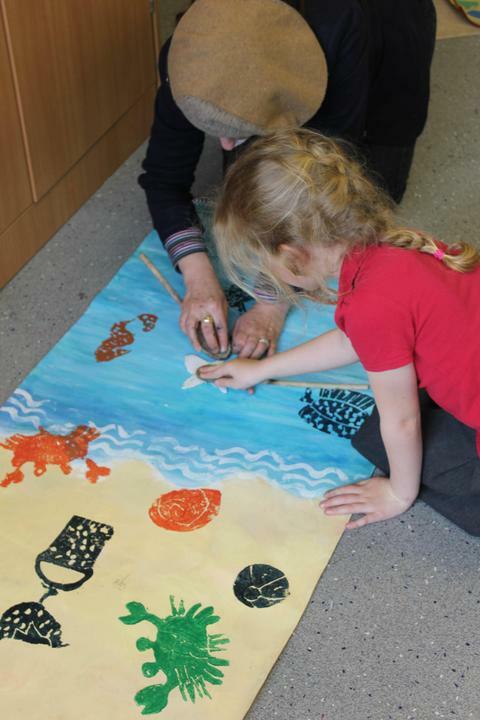 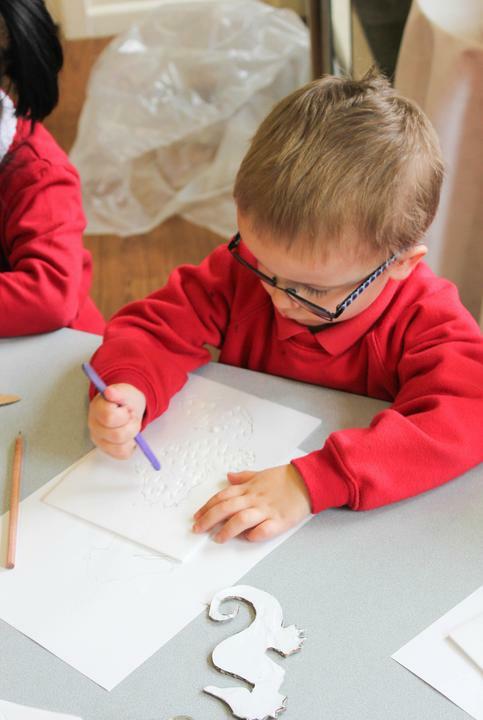 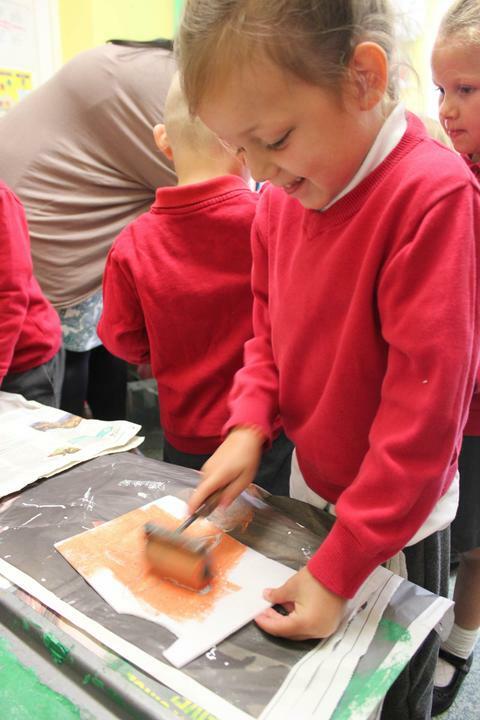 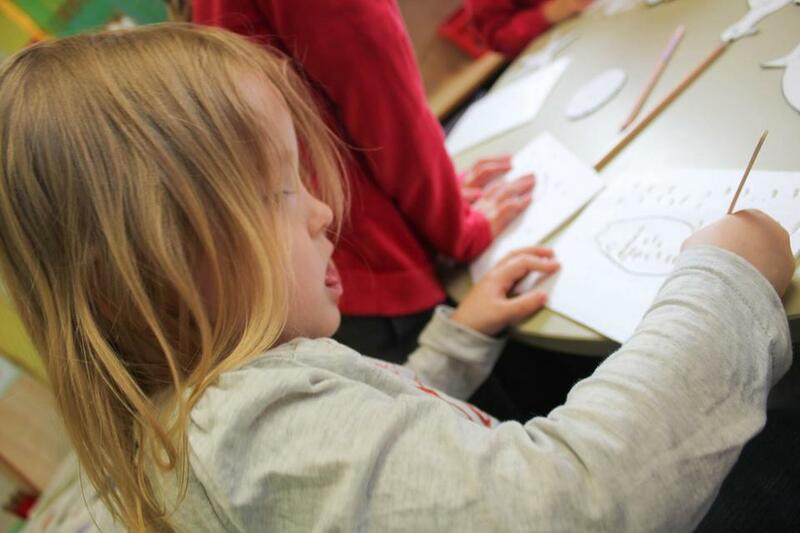 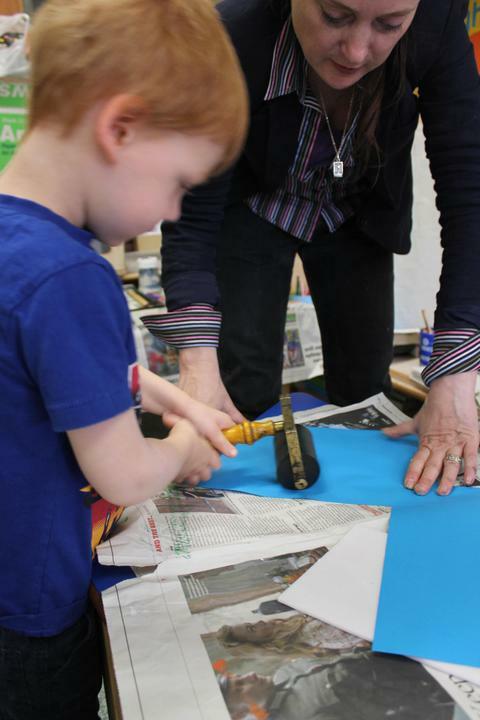 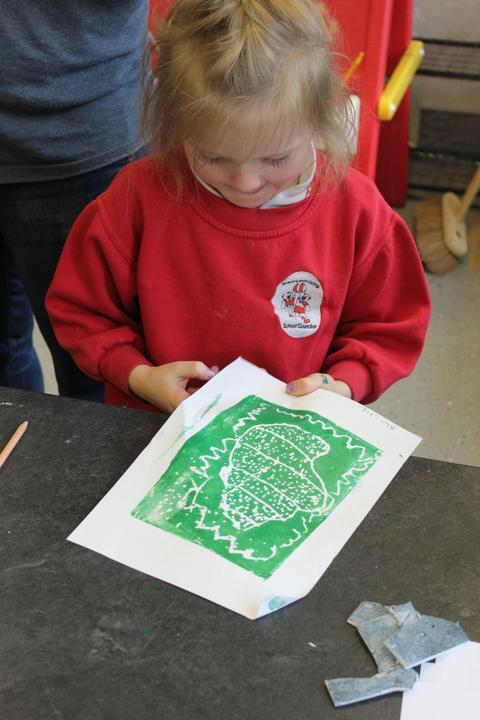 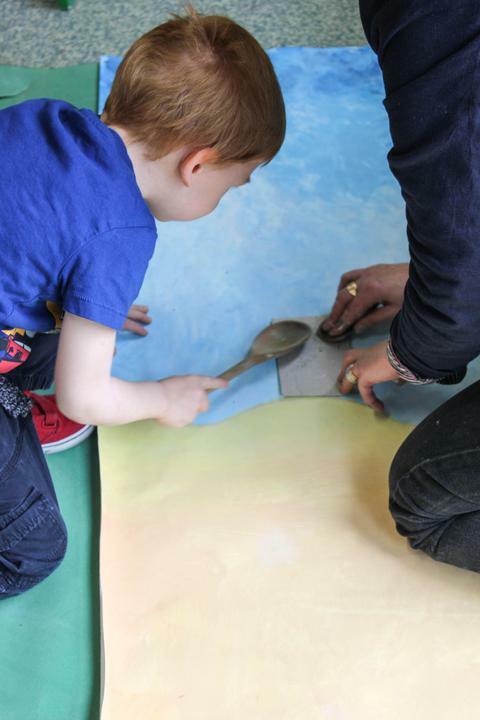 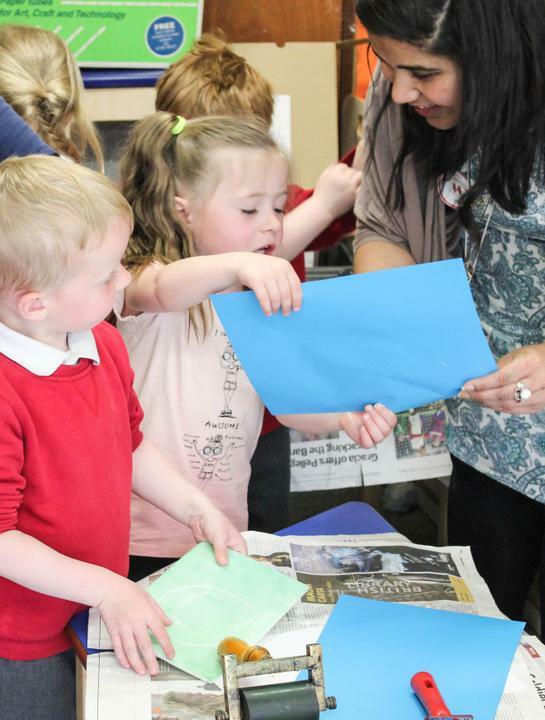 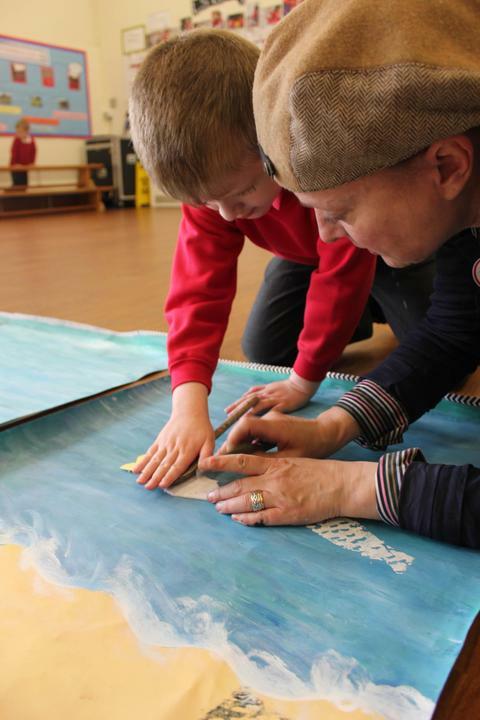 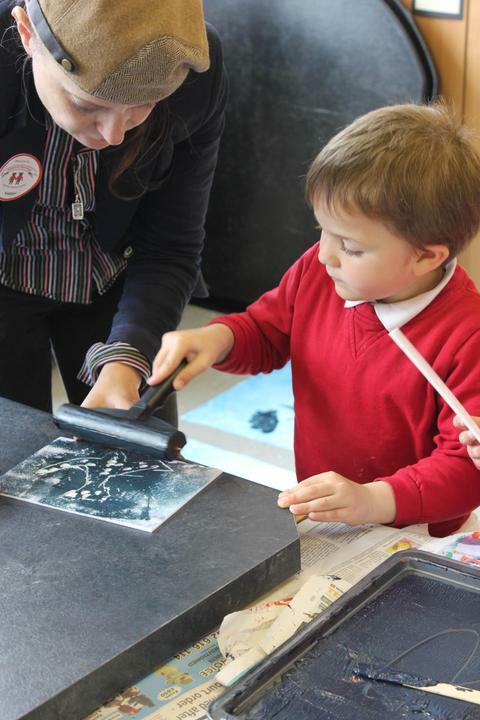 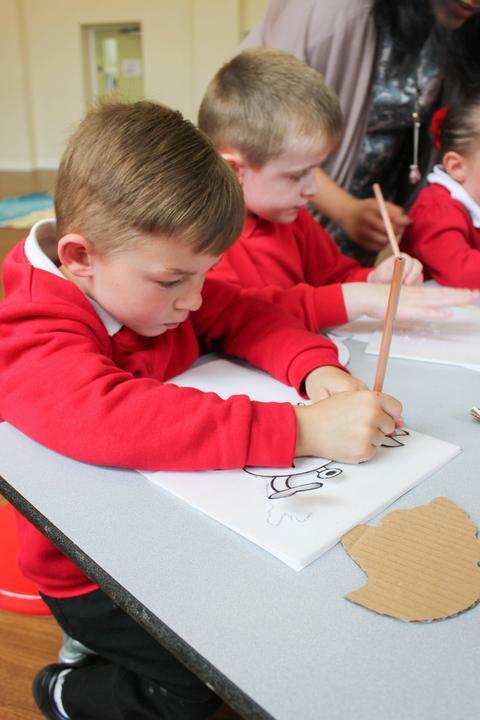 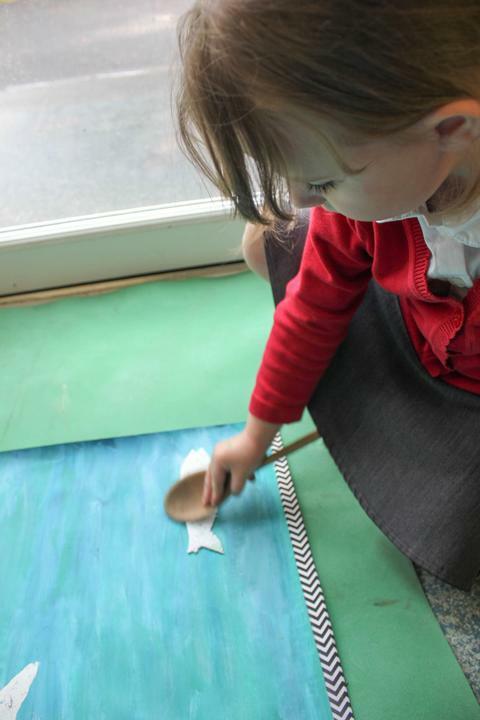 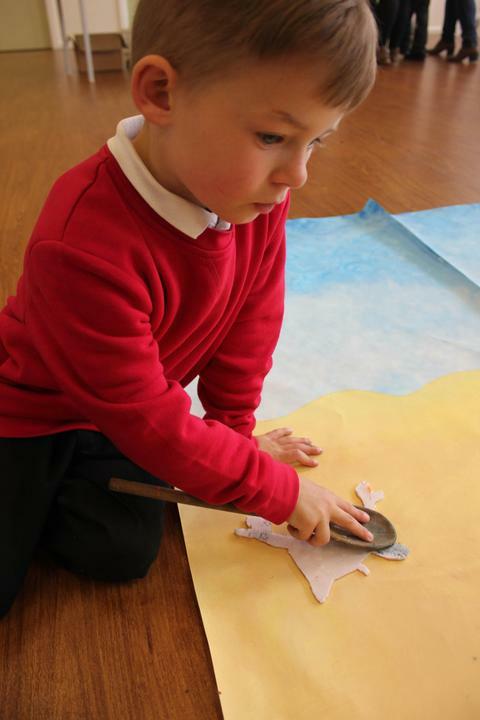 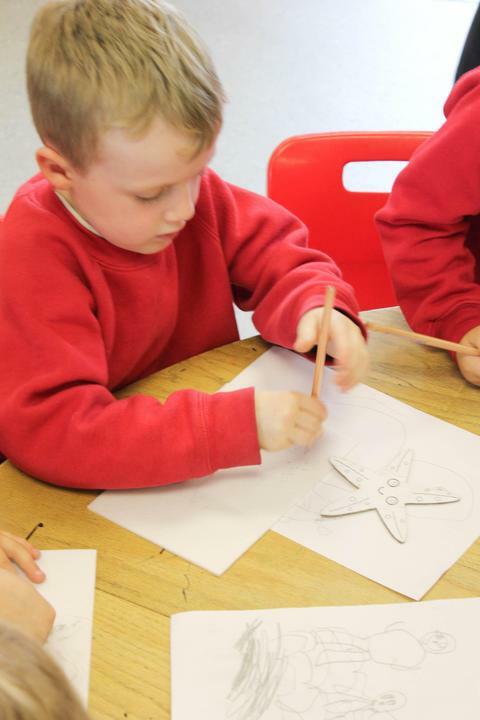 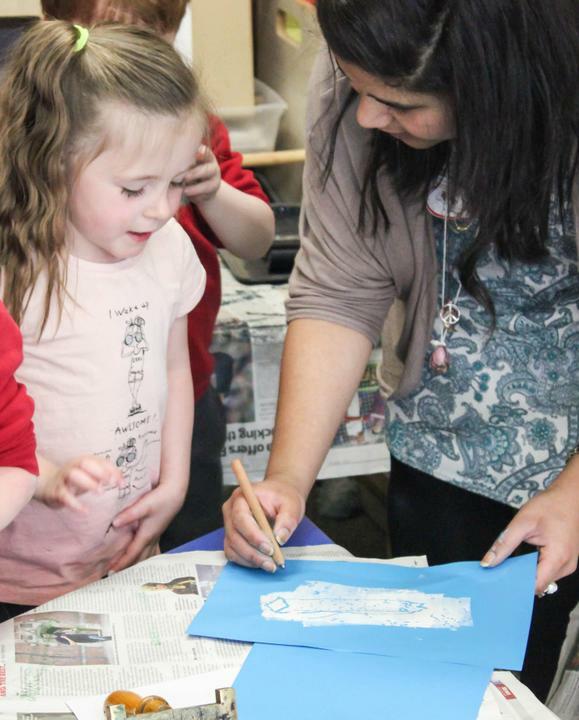 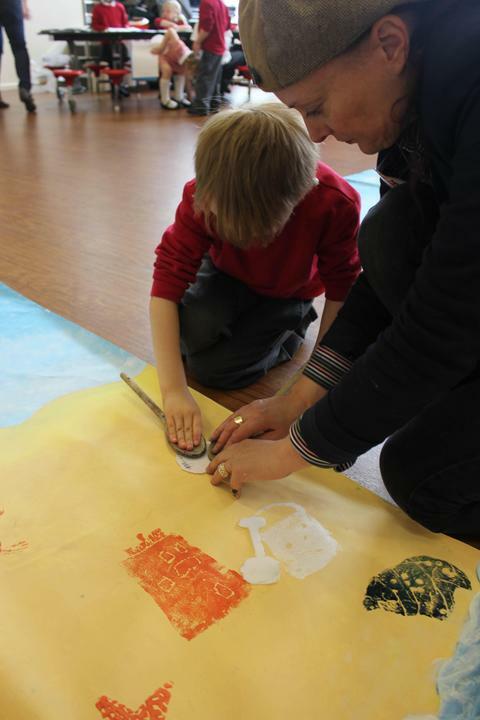 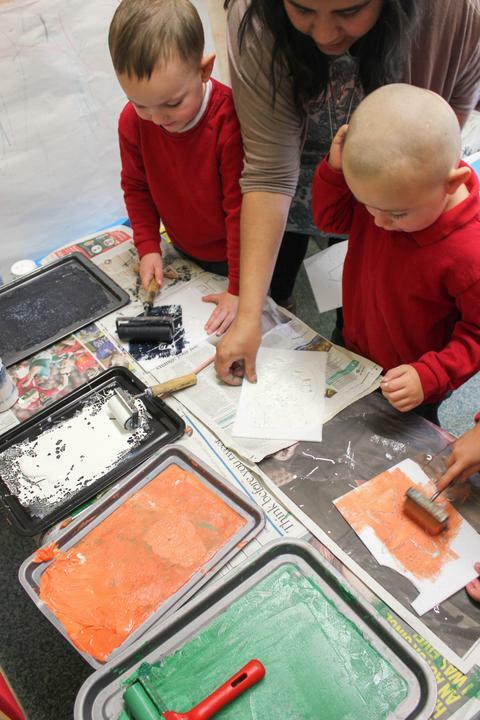 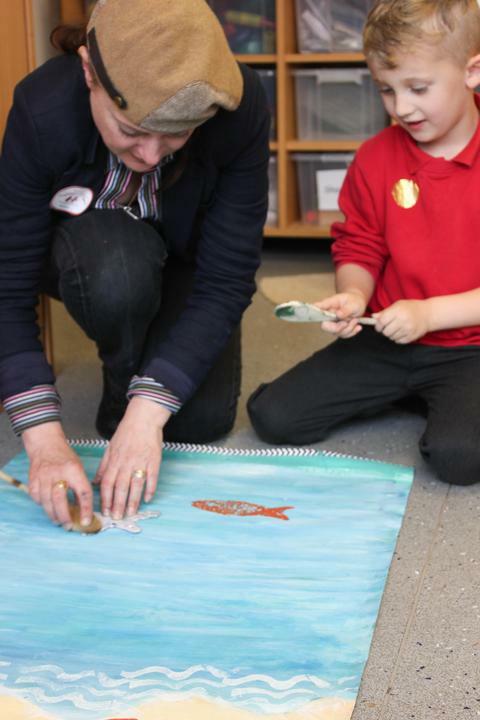 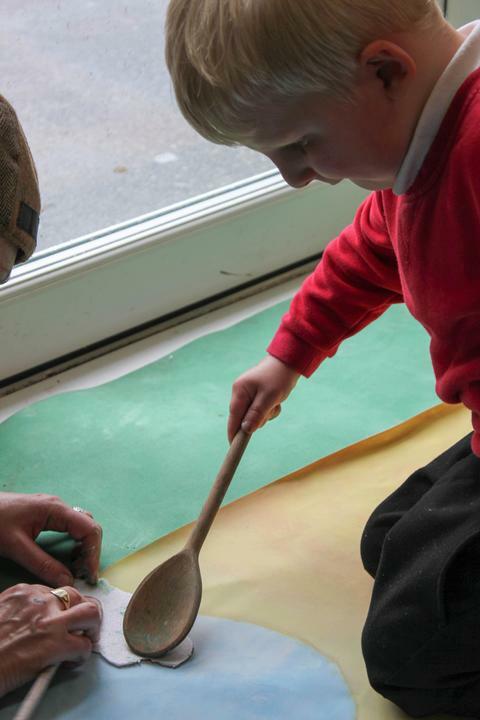 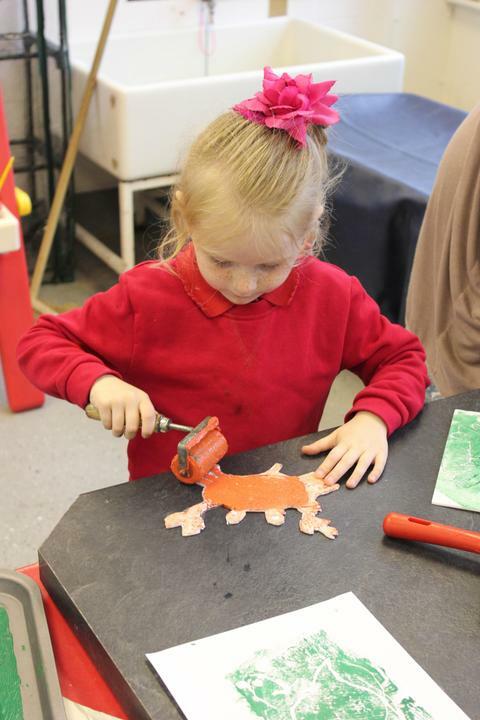 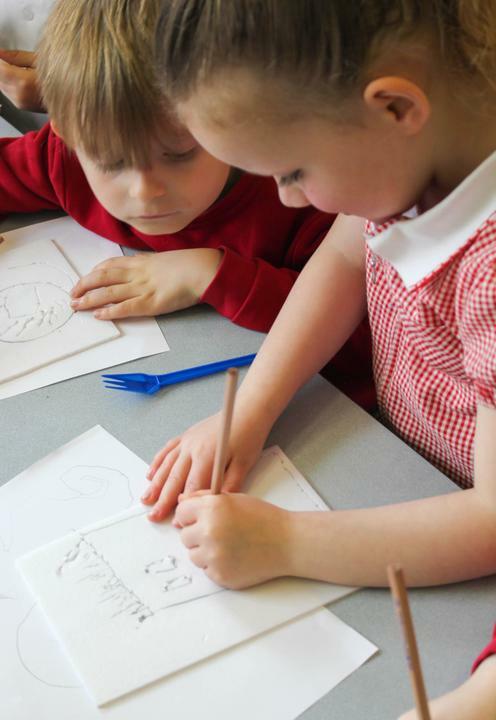 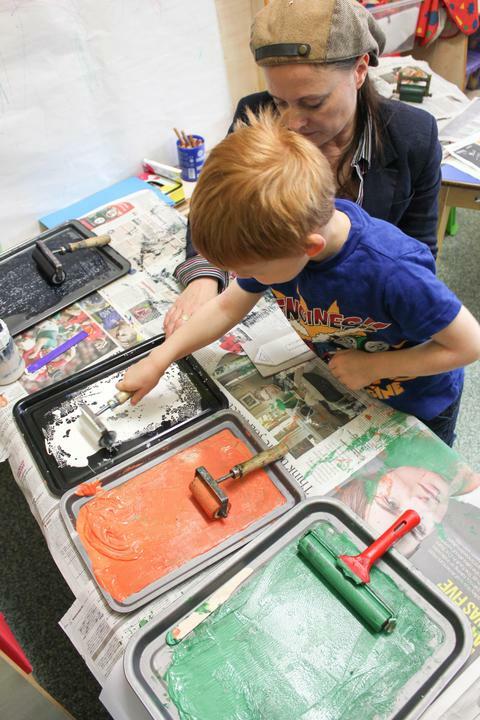 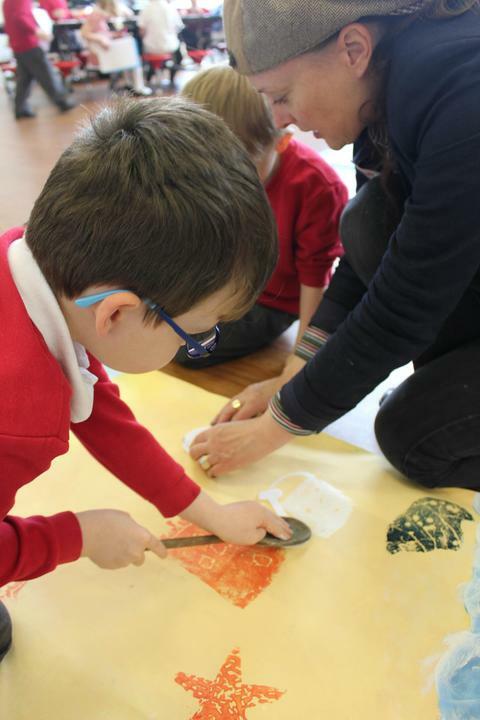 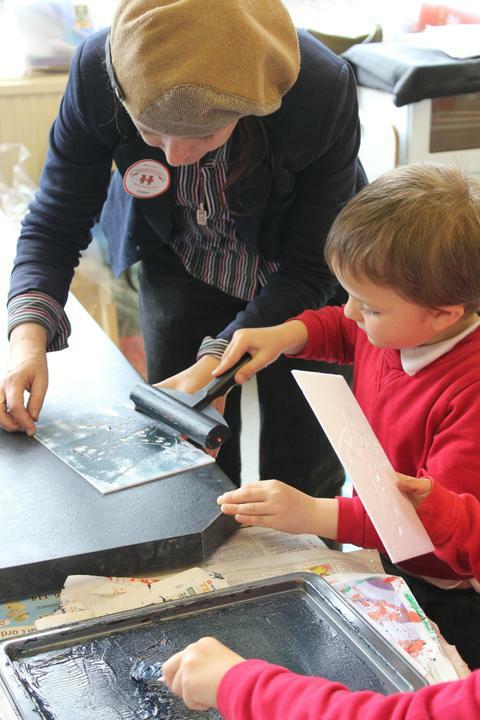 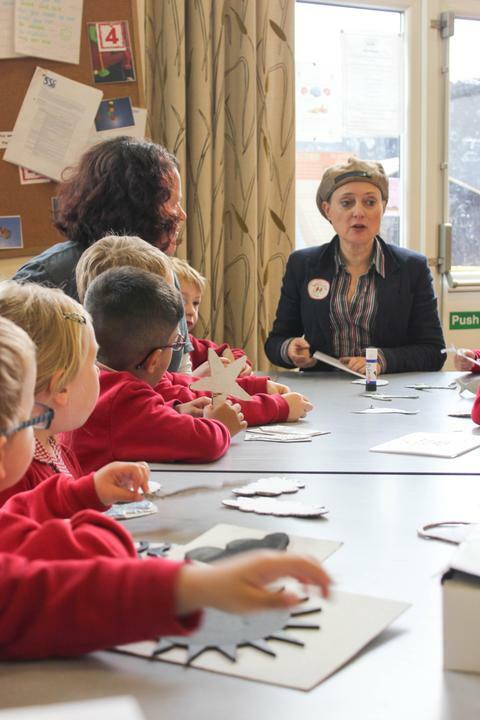 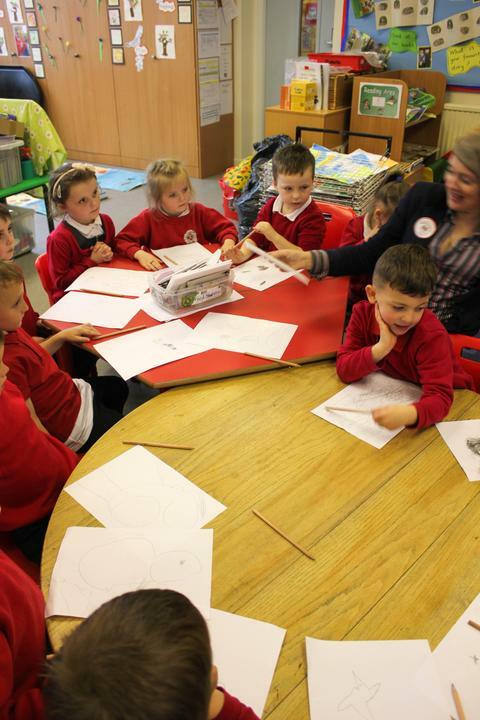 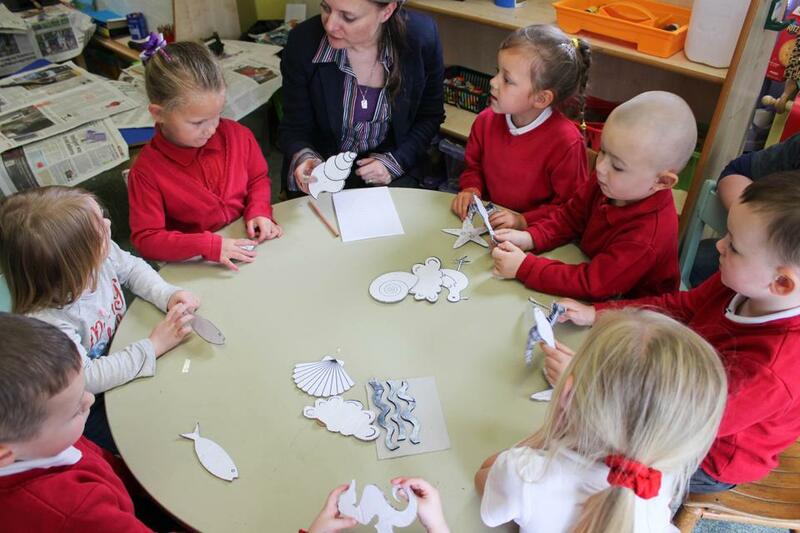 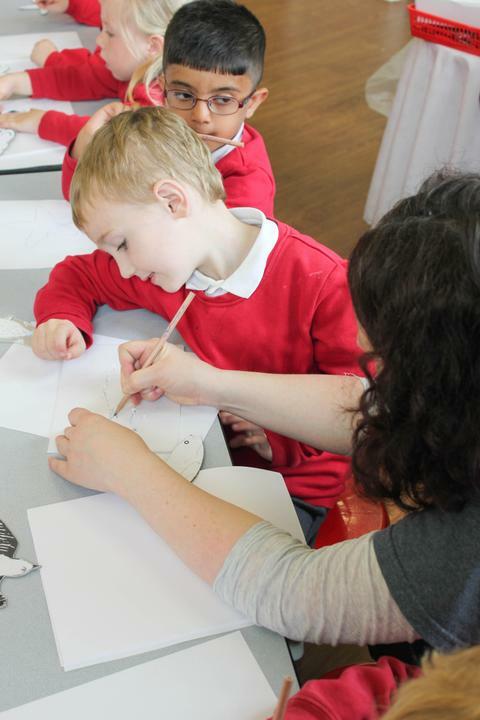 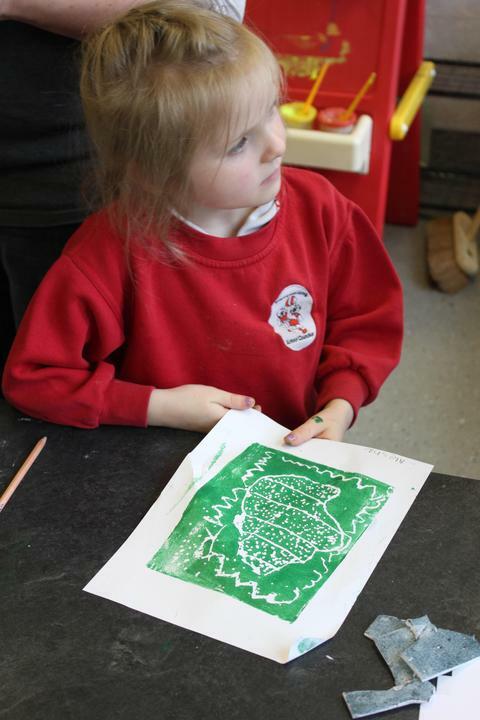 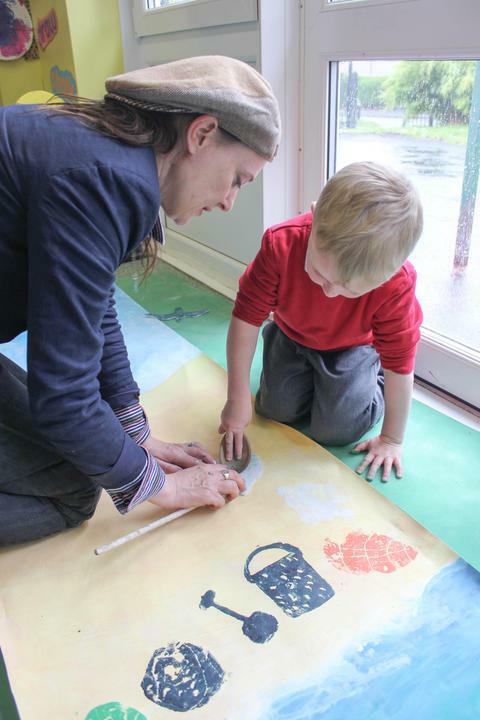 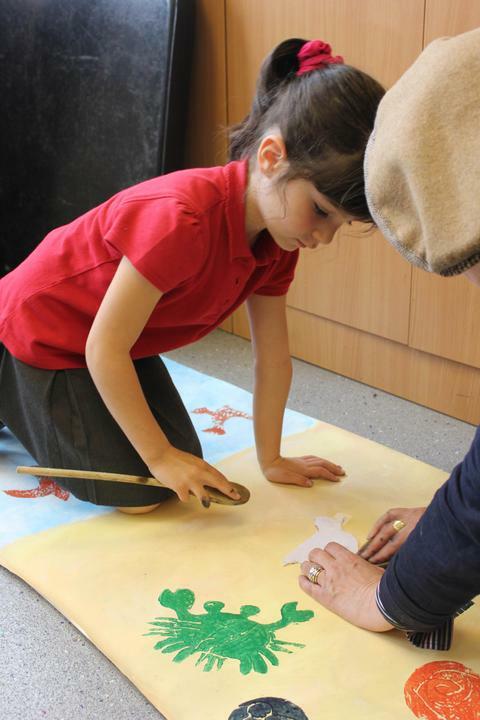 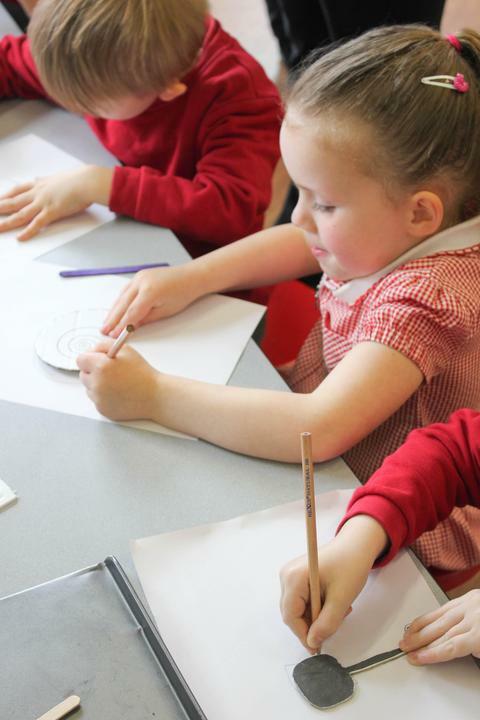 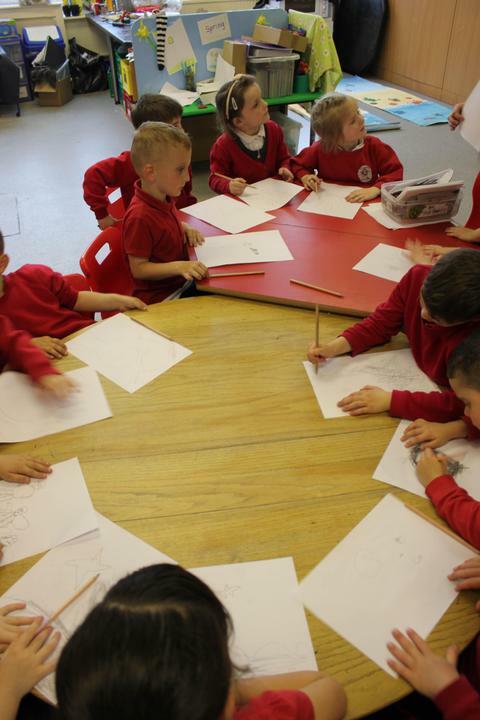 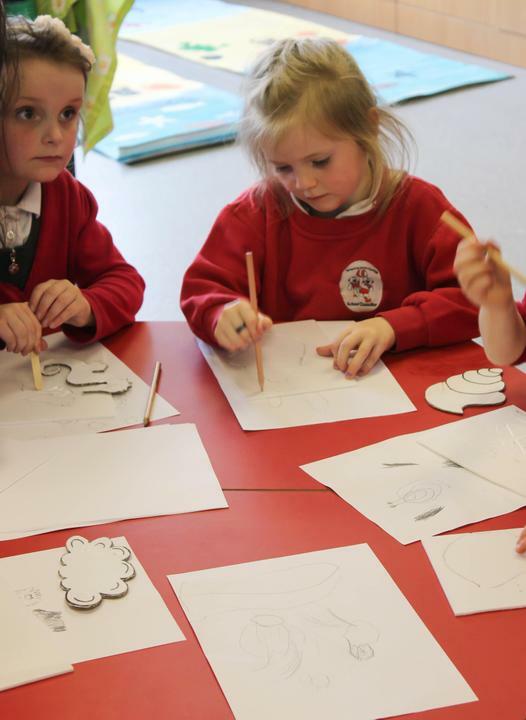 The Action Factory, Blackburn, brought Artist - Julia Swarbrick to work with the Nursery and Reception children over two days on a collaborative piece of art work. 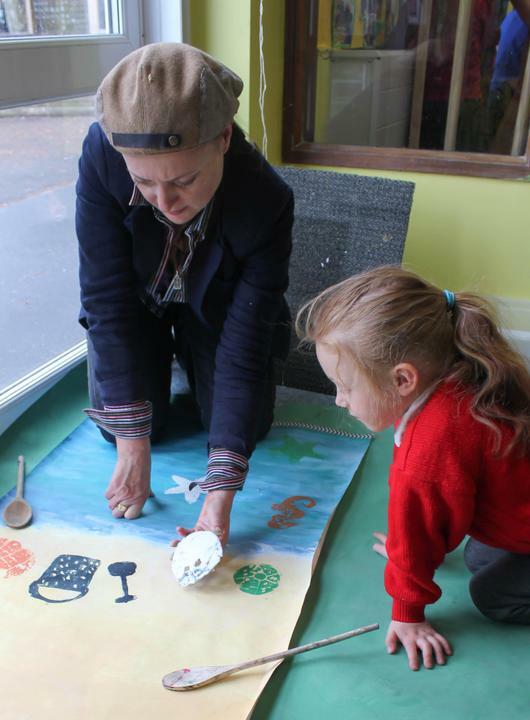 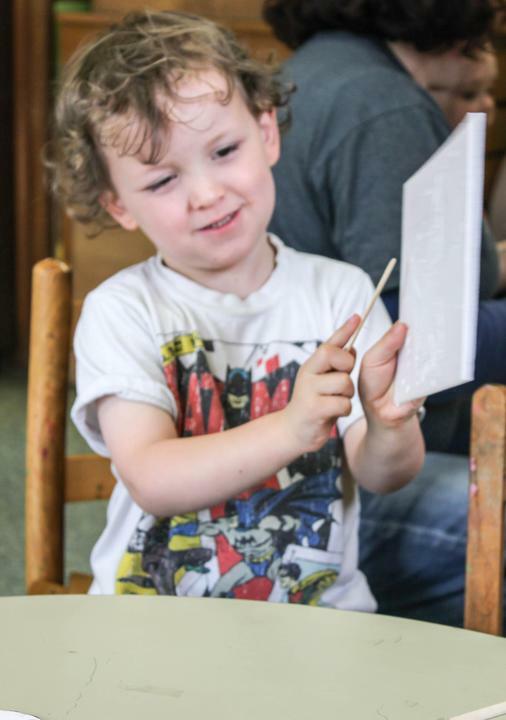 The children carved things found at the beach into polystyrene pieces to make their own printing plates. 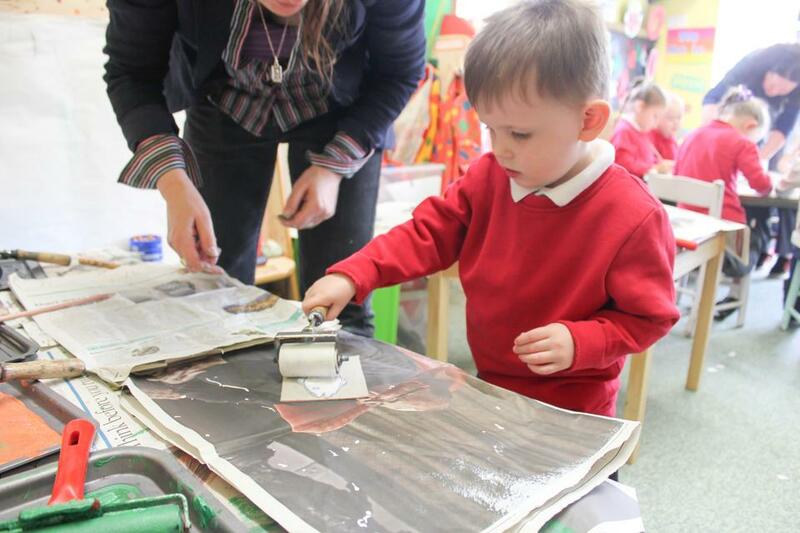 They then used ink to print their plates onto 4 large canvas backgrounds. 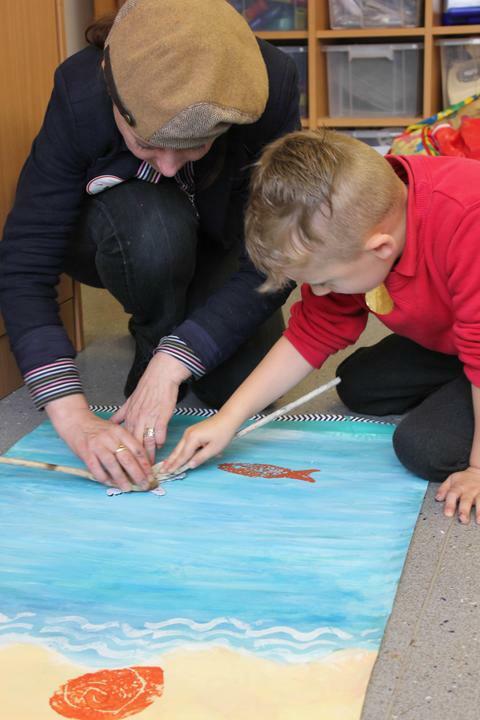 The finished piece will be hung in the hall. 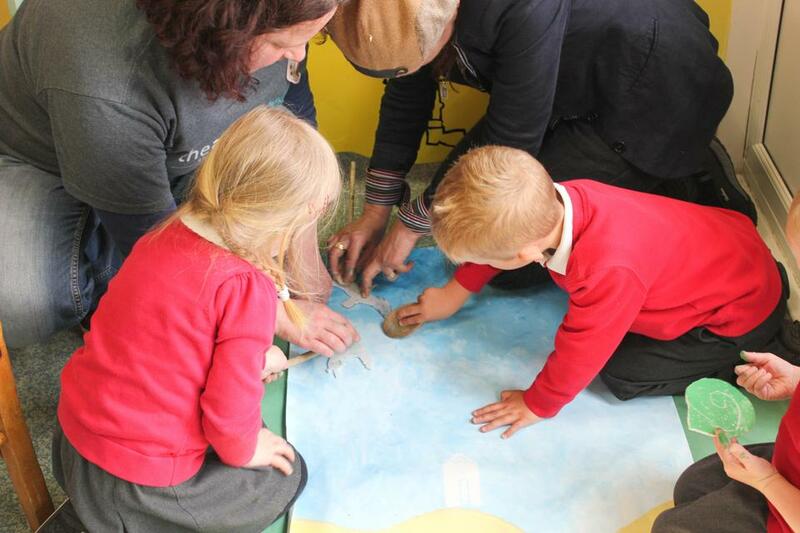 It looks absolutely fantastic and as usual, our children were enthusiastic and enjoyed the experience. 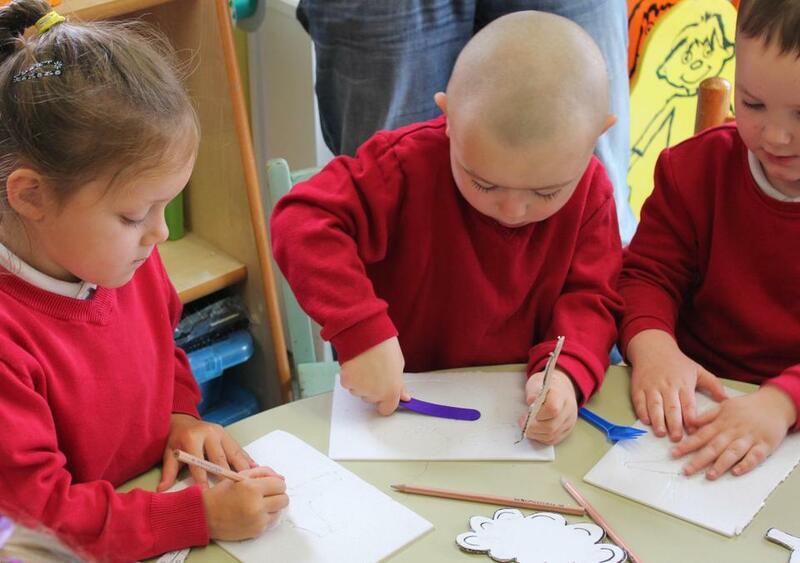 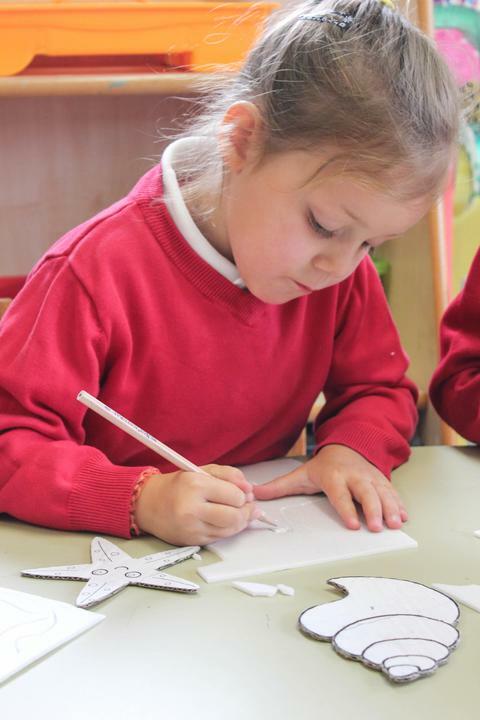 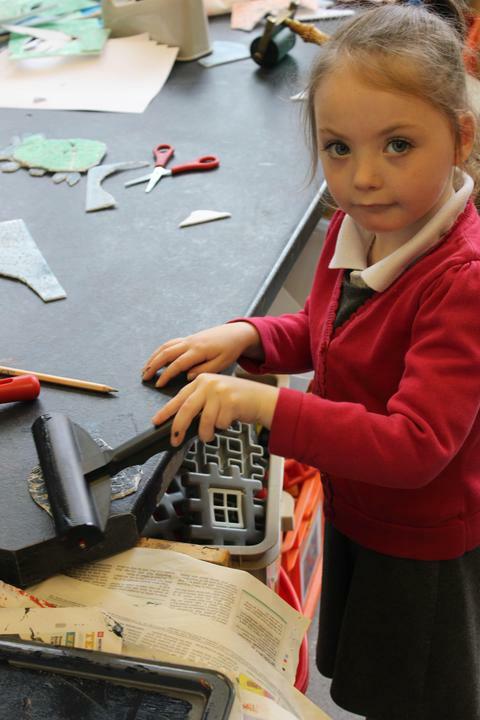 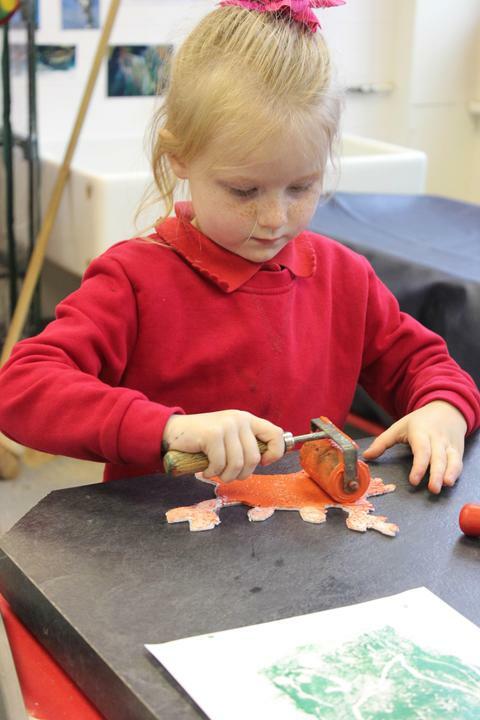 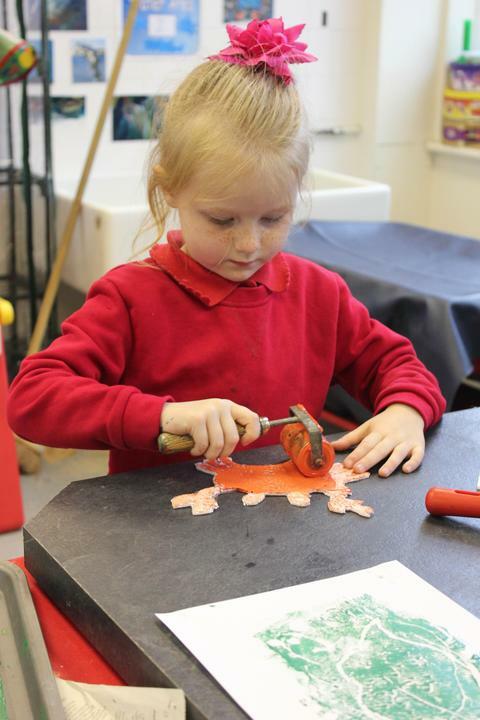 Take a look at the photos of the children working. 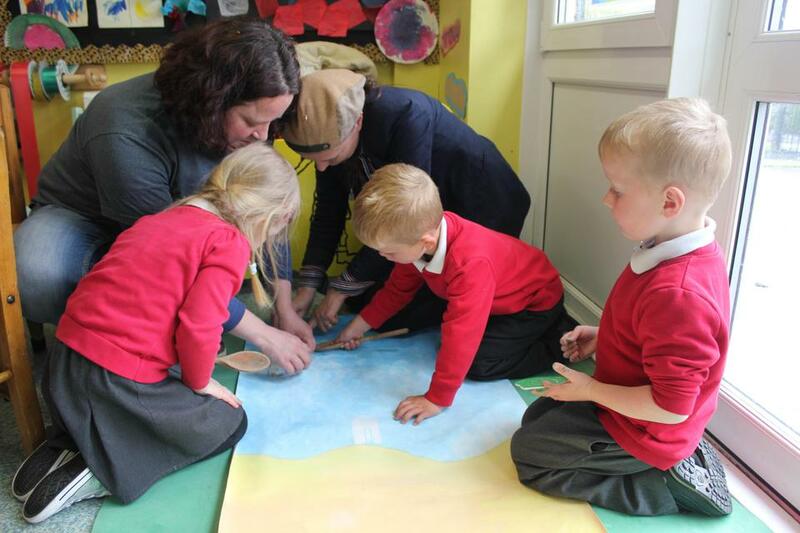 Photos of the finished artwork to follow soon!